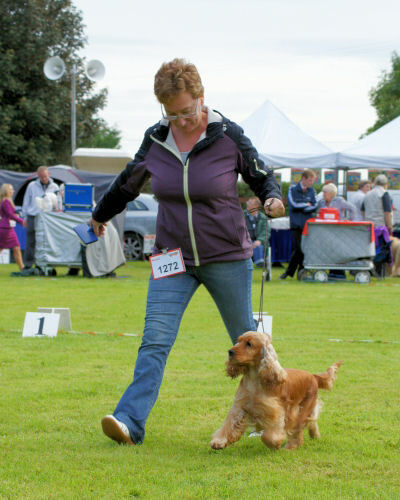 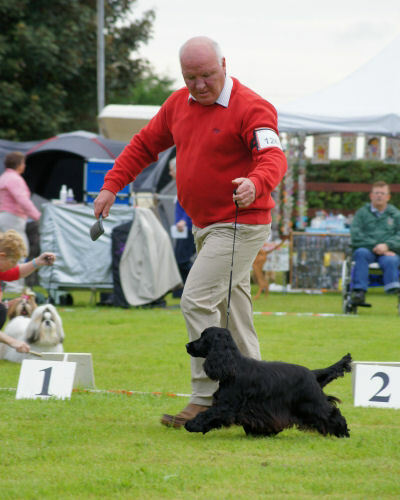 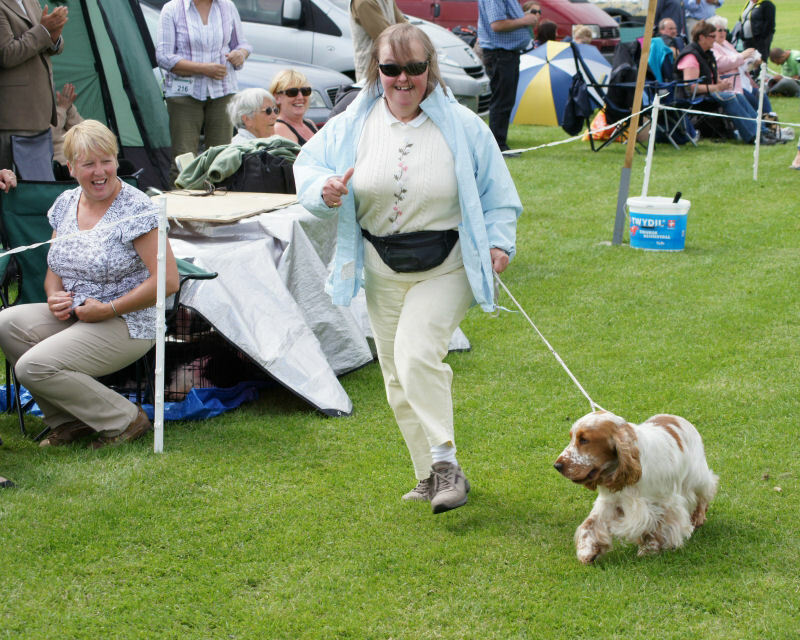 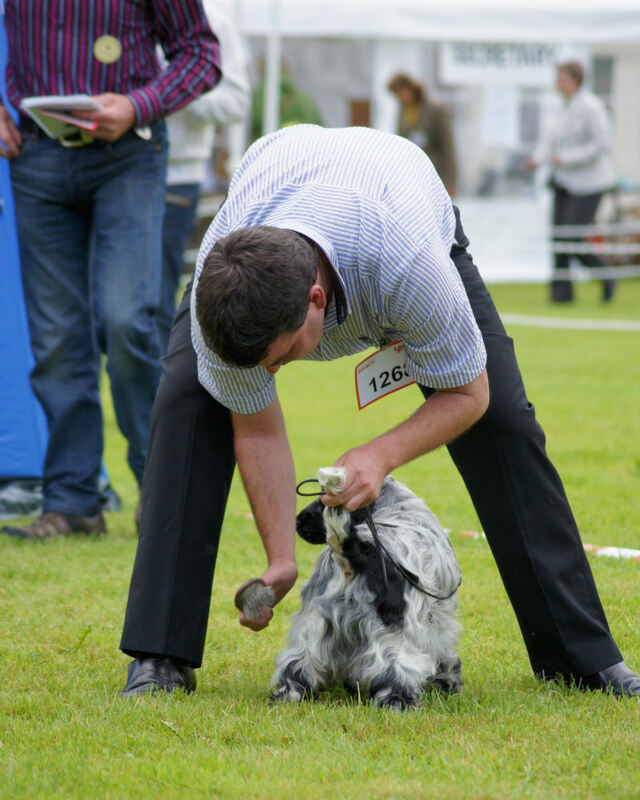 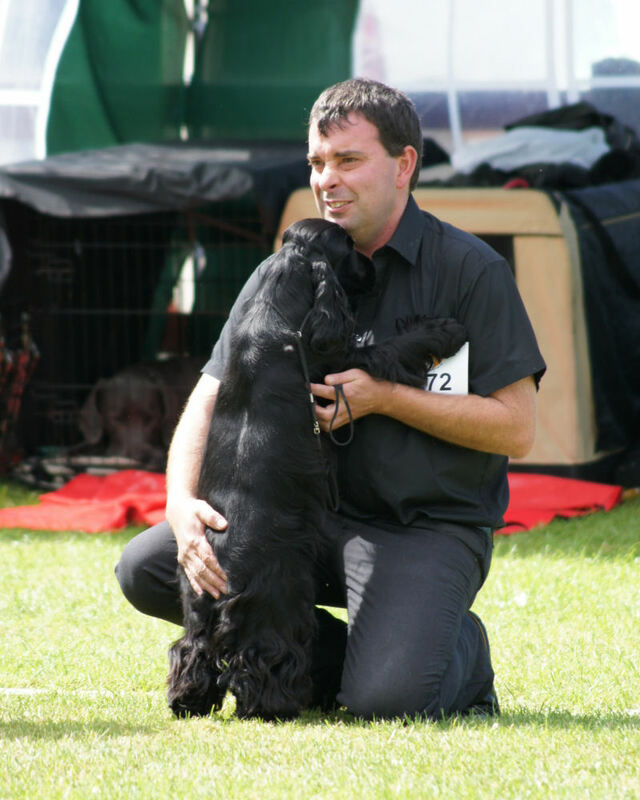 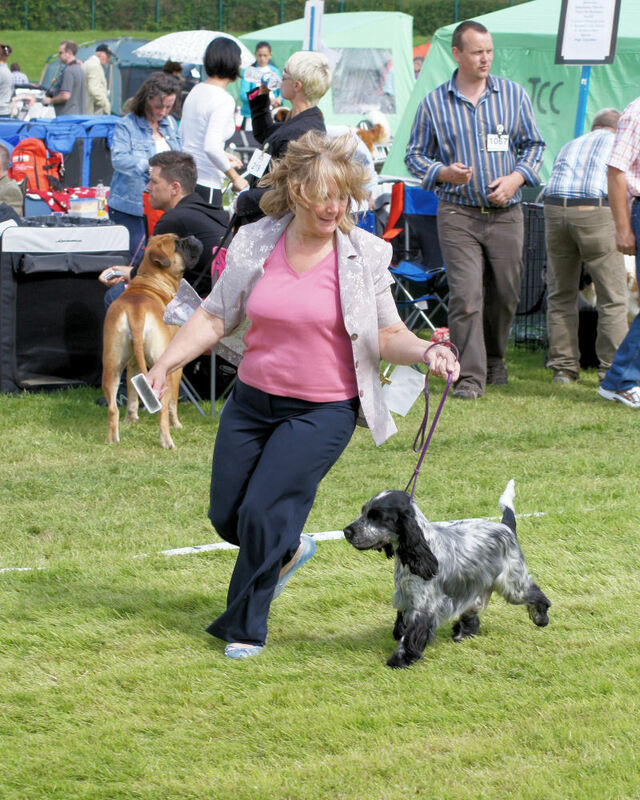 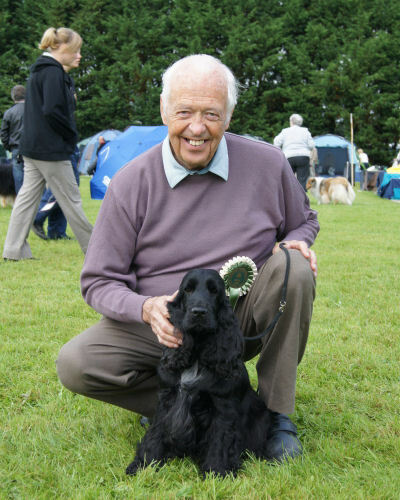 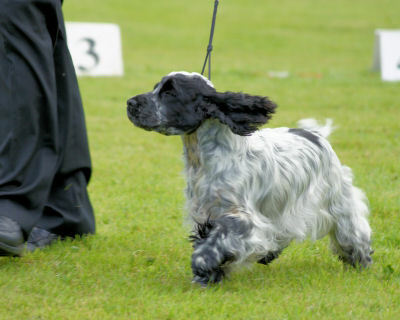 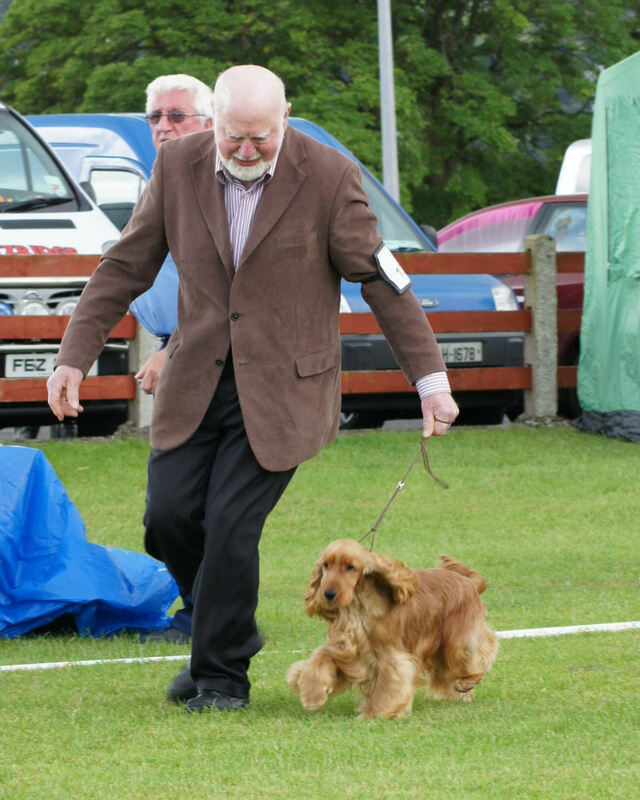 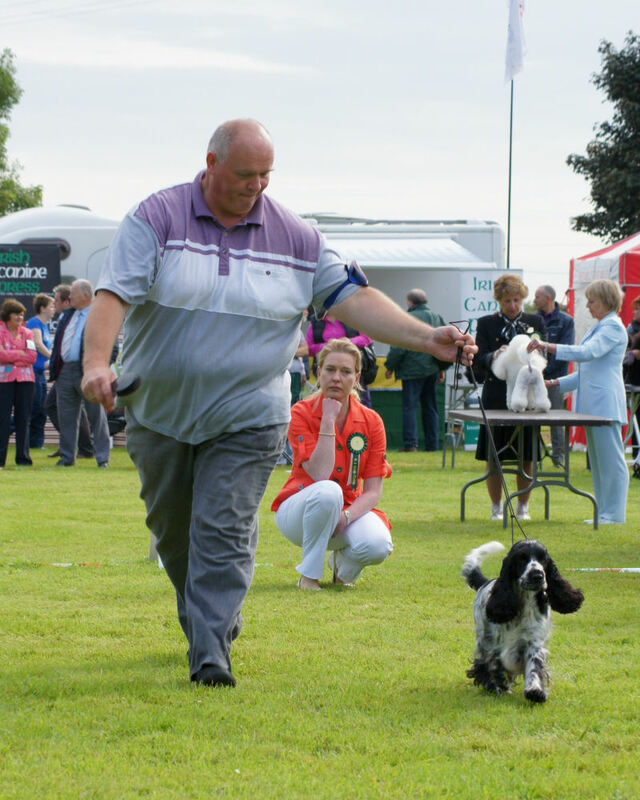 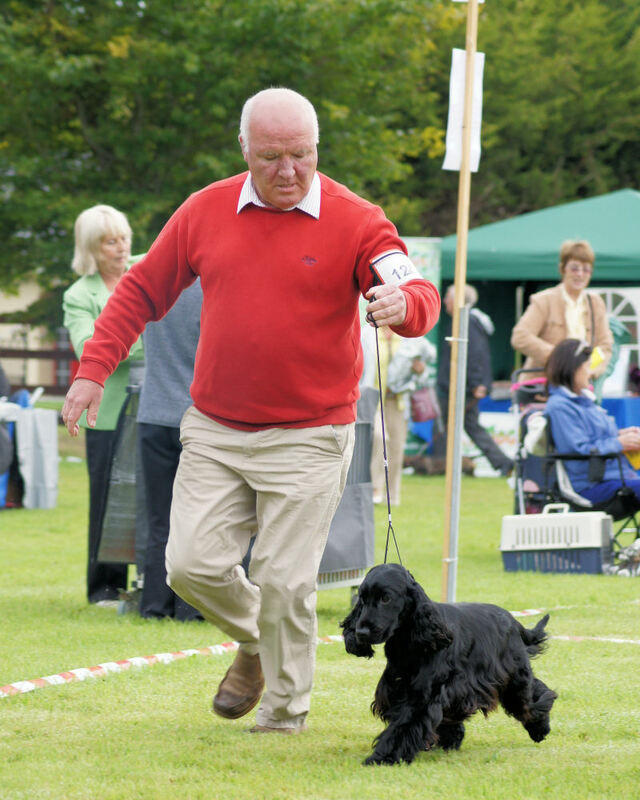 A few Pictures to illustrate the Dogs shown on this years Circuit, Apologies to those few I did not get a chance to photograph. Oh and in case the usual suspects thought they got away with anything, there are a few little moments caught further down to share with the Community. 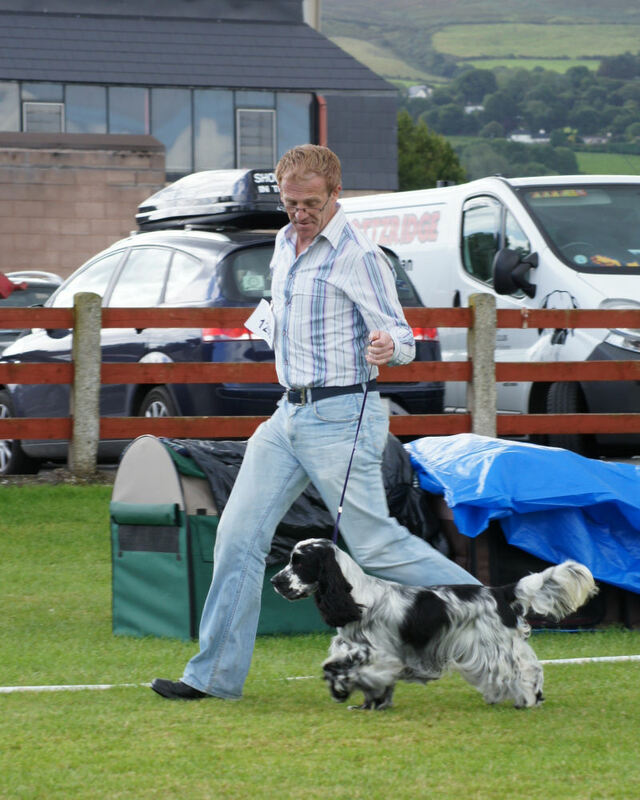 Cavalingo Show Stopper At Laveris. 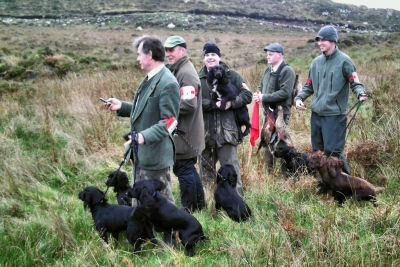 Chavez Gaelic Connection At Forestpine. 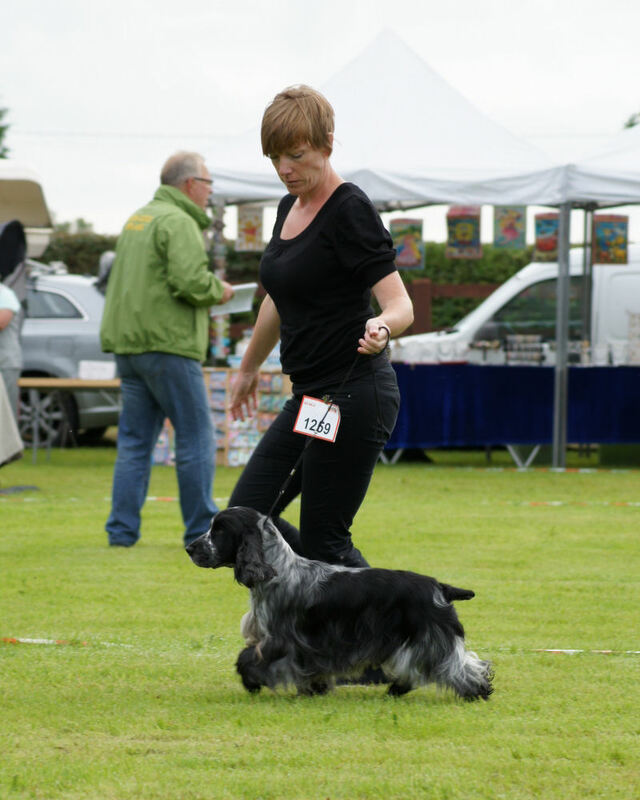 Manaca's Here Comes The Sun For Wilmerella. Manaca's Laid Out In Lavender At Wilmerella. 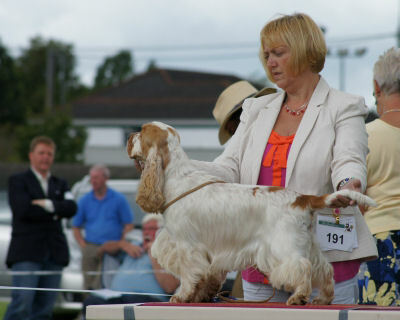 Miz Hazie Fantazie At Benbreen. 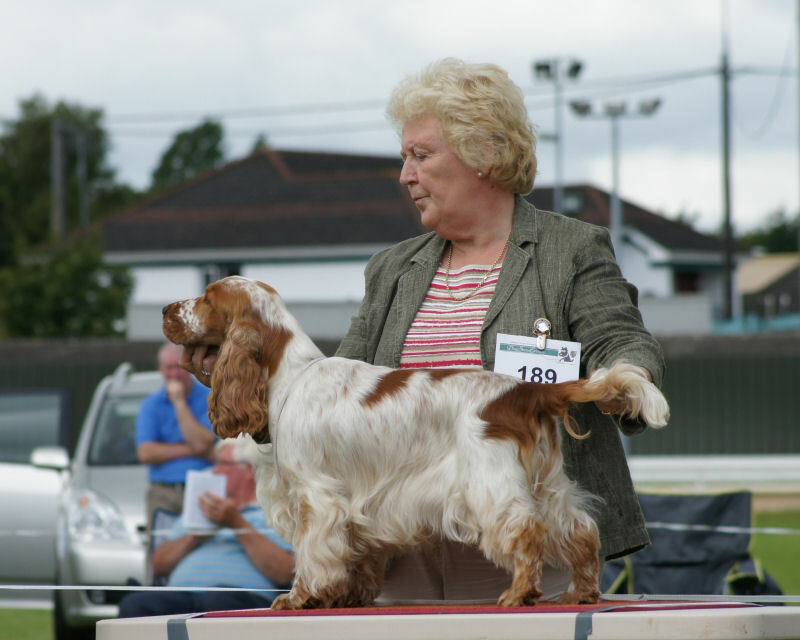 Miz Tilly Forilli At Benbreen. 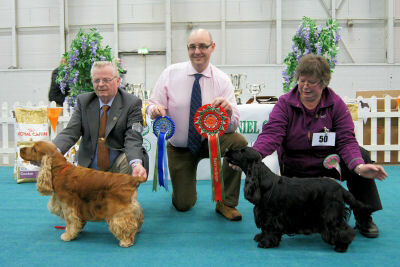 Ryallcourt Keep In Touch At Kassan. Selnna Dark Crystal At Laveris. 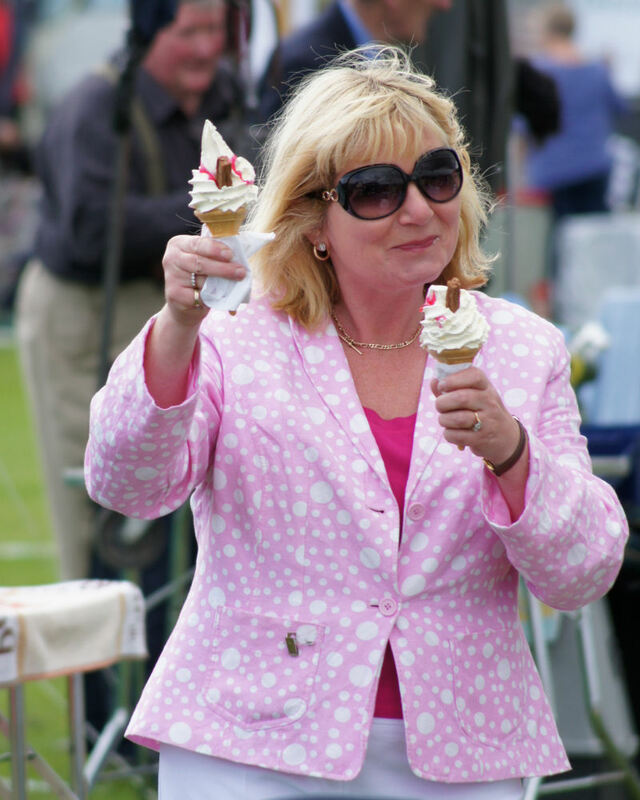 Lets pretend one of those ice creams was for Tommy. 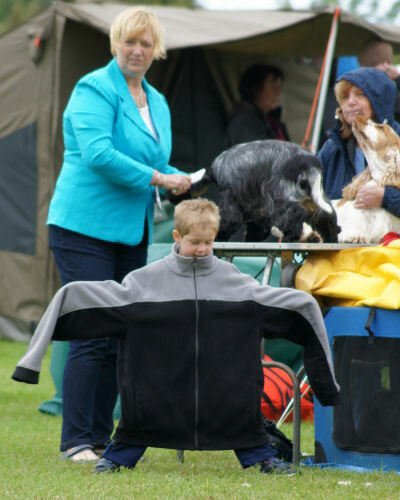 If the winds were up in Clonmel. This little lad would not have to had to pay his fare home. 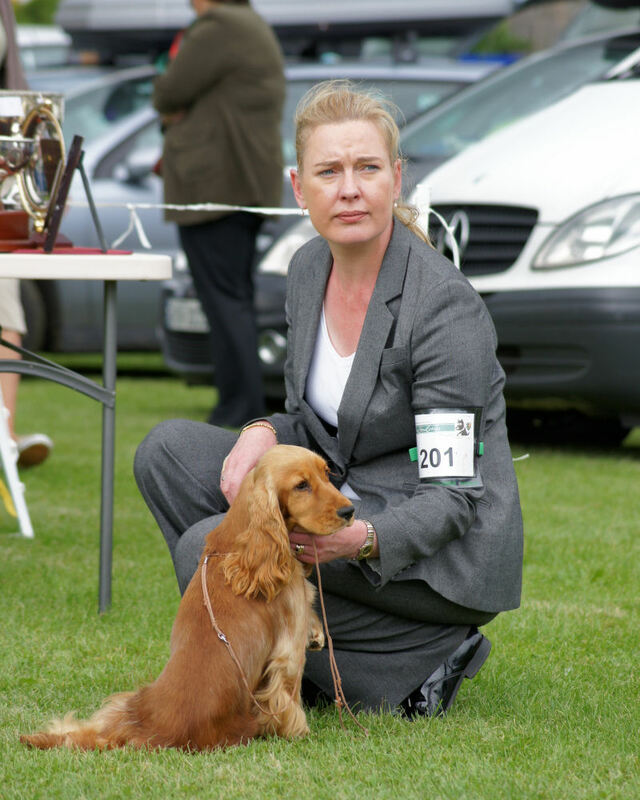 Few Legal Judges could make you quiver so much, but this gaze from the Limerick Cocker Judge, CSCOI Officer and President of the Dublin Cocker Society should make your dog worry about their bladder control. An undisclosed source reliably informs me it is equally bad for those Judging their own Breed in their own country. 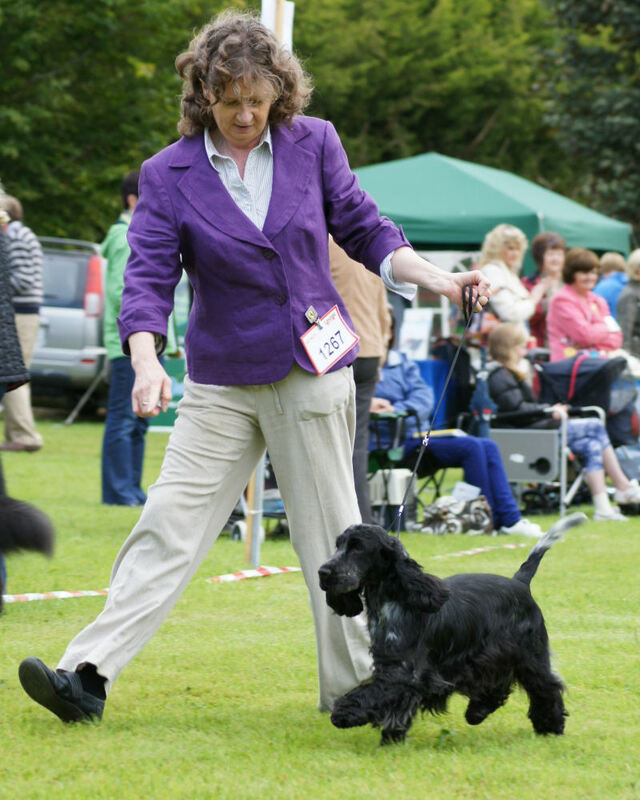 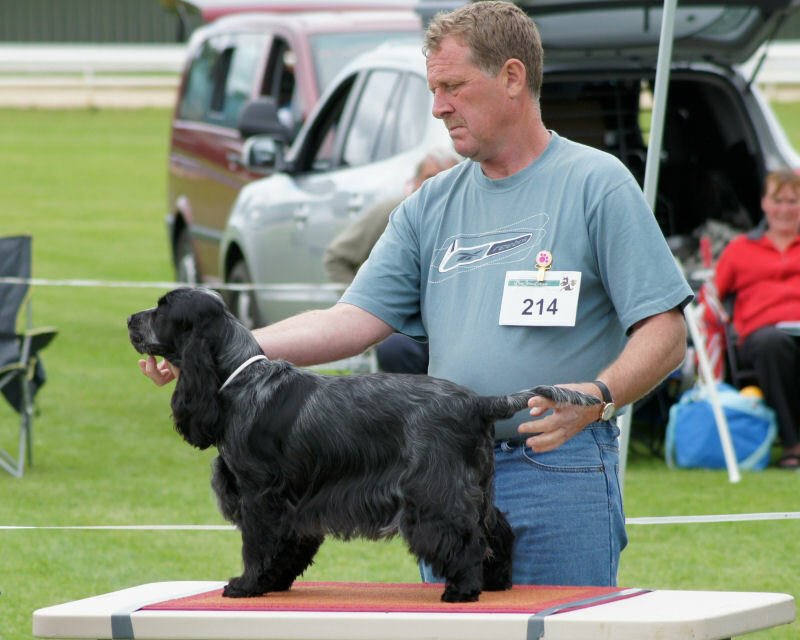 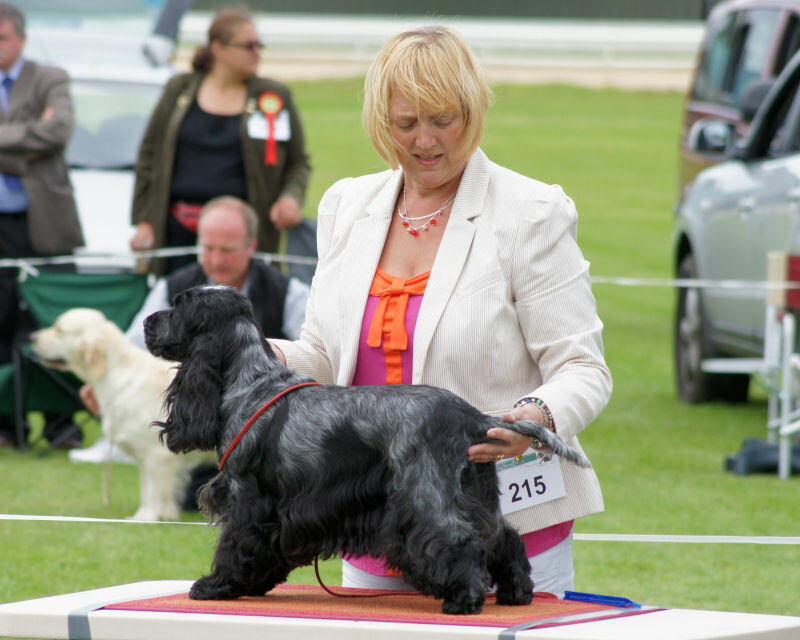 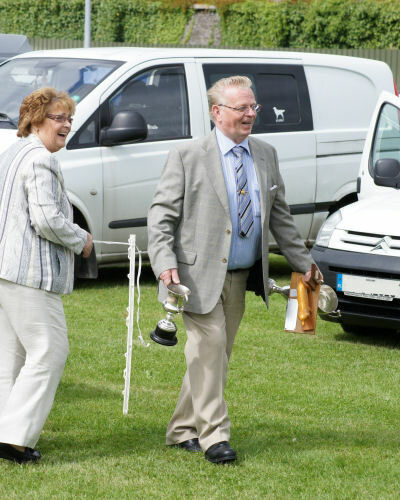 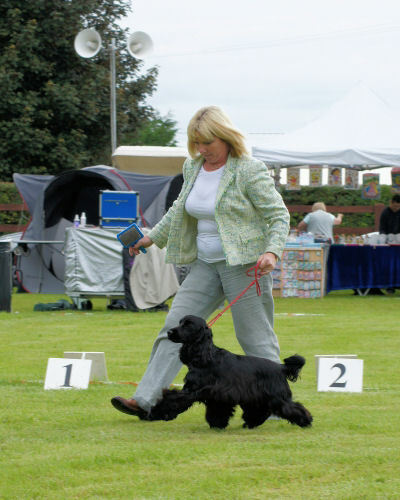 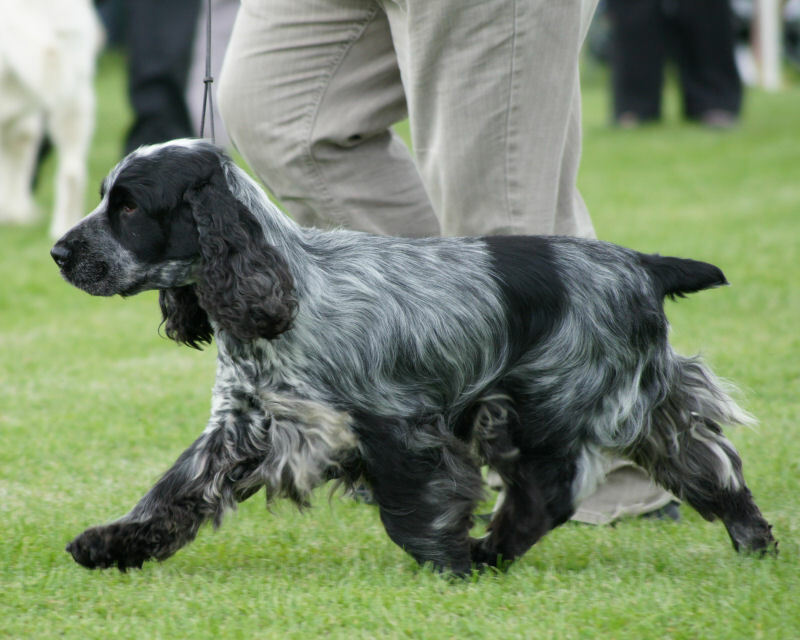 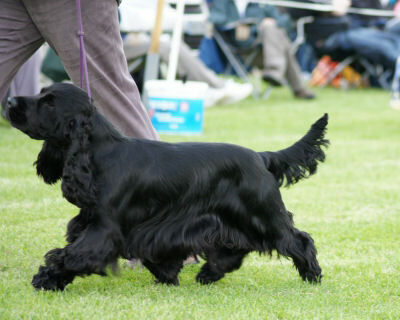 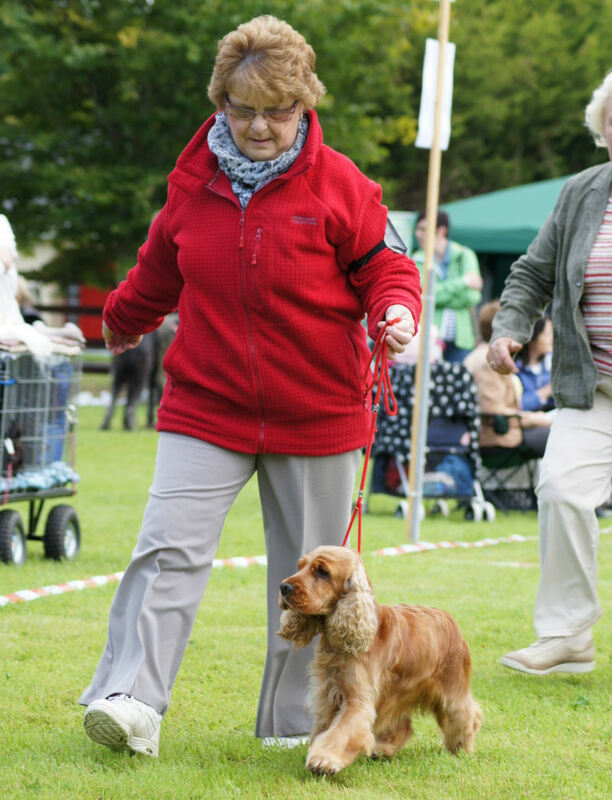 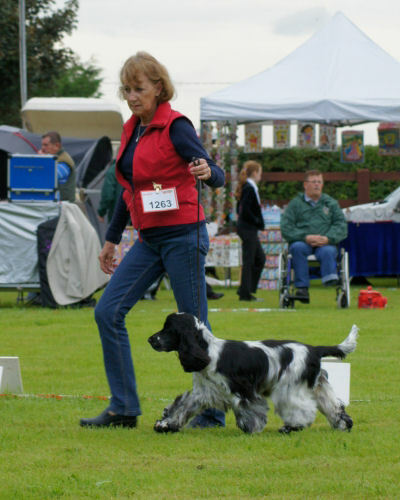 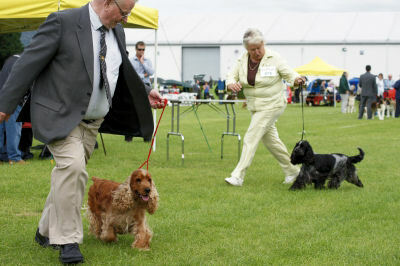 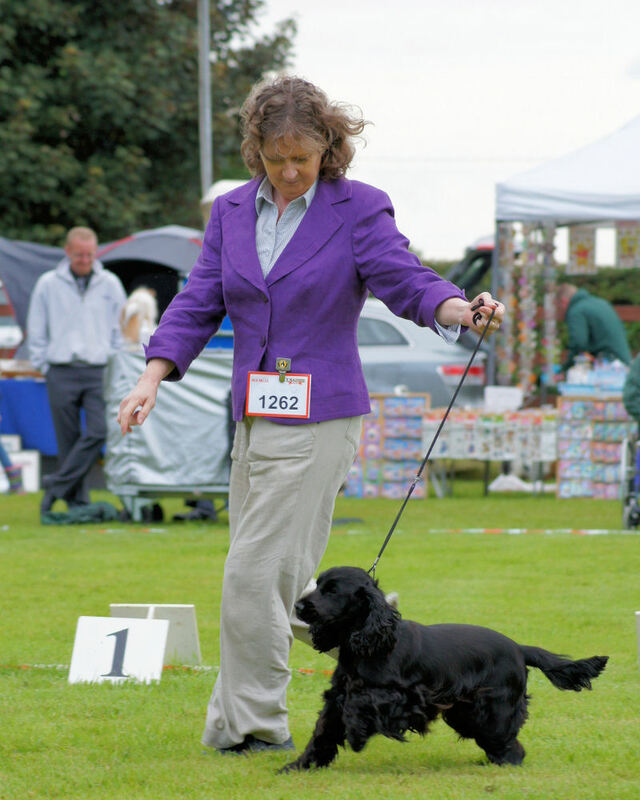 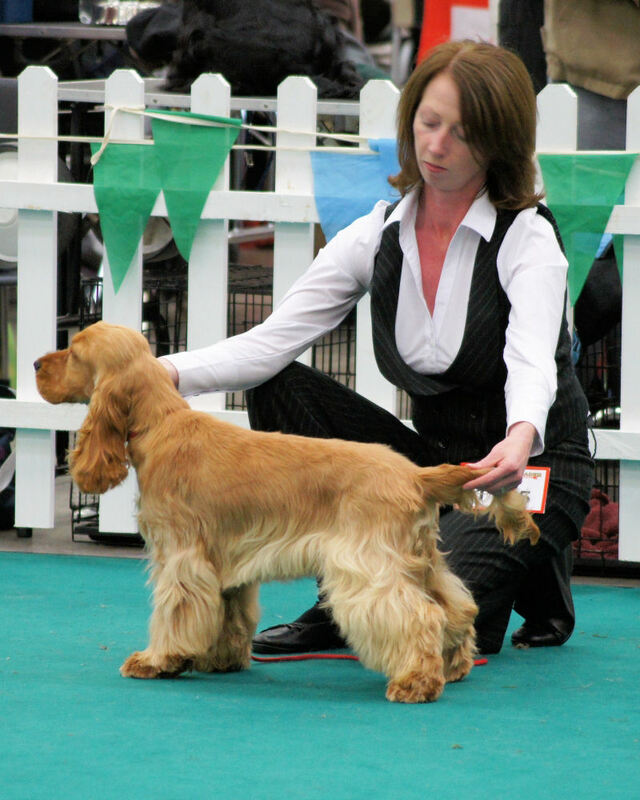 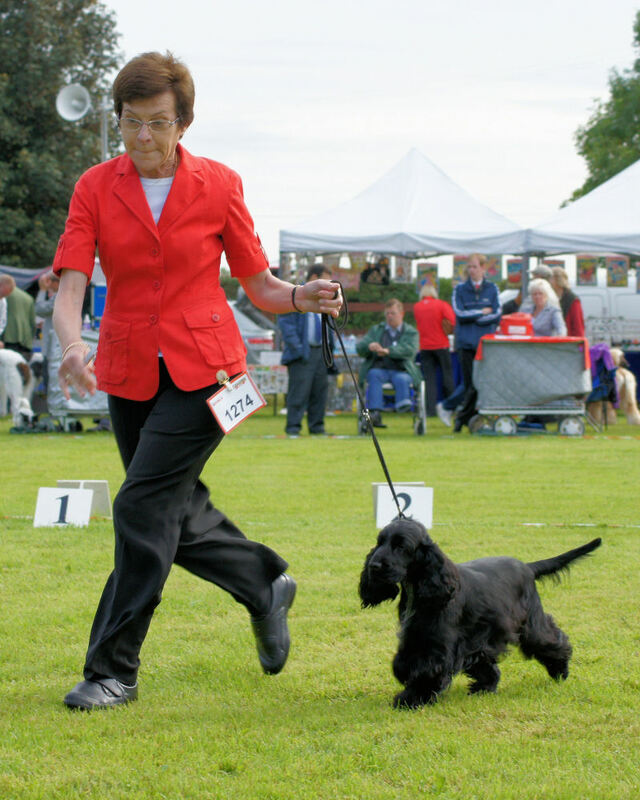 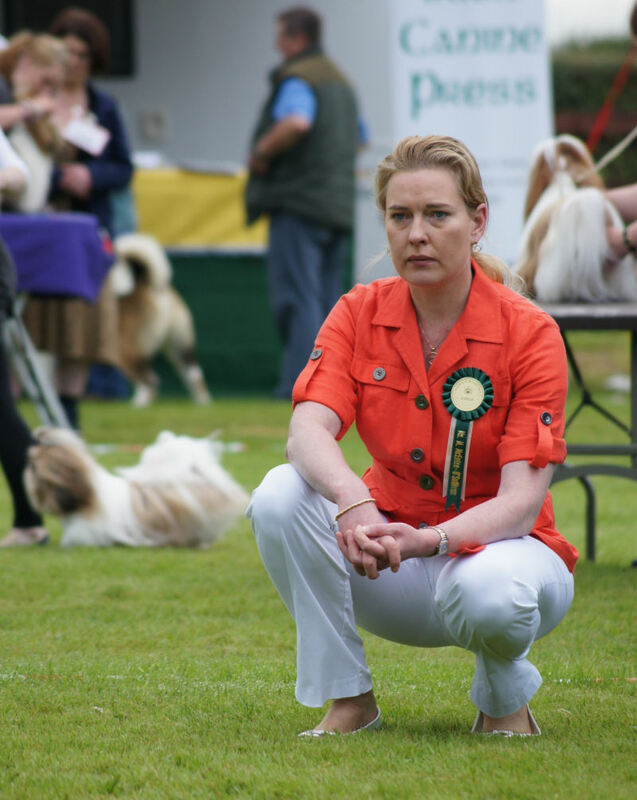 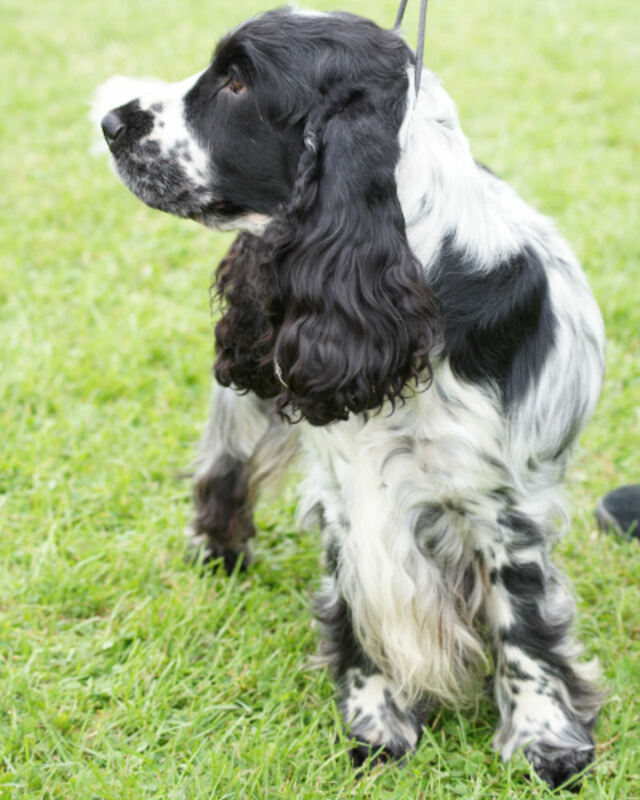 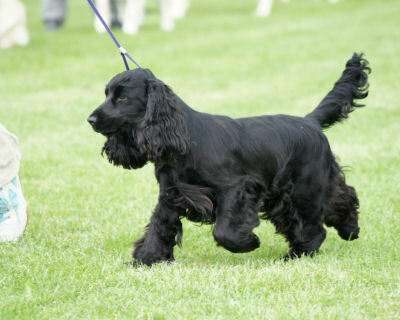 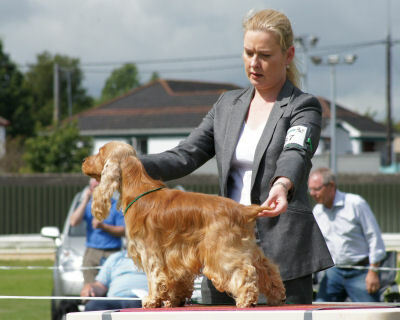 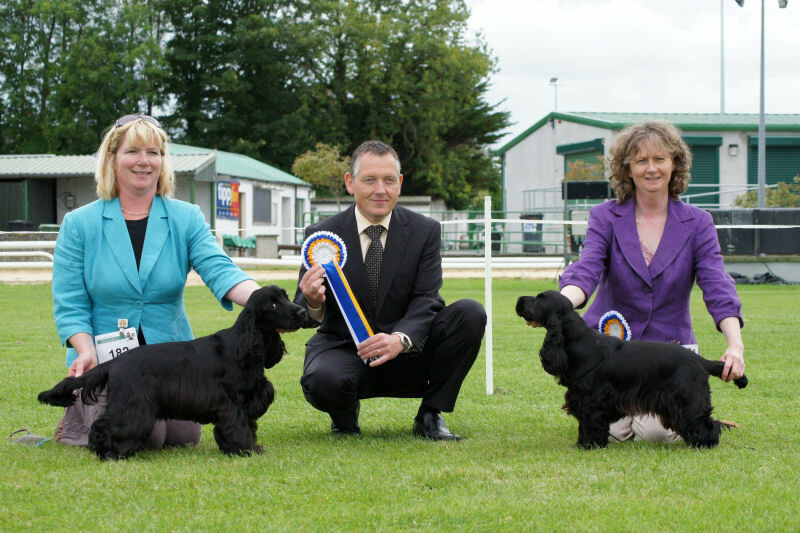 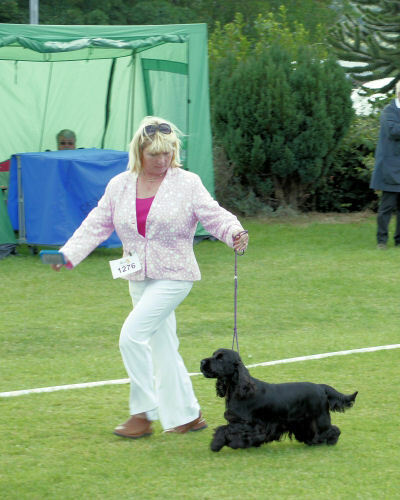 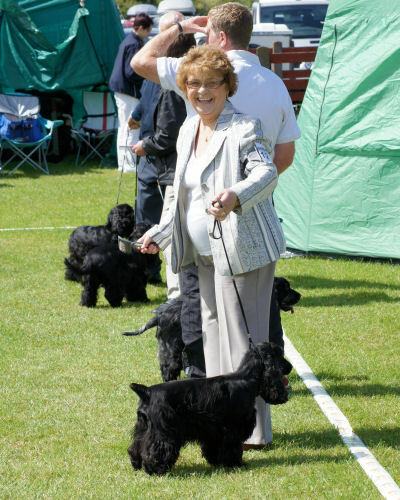 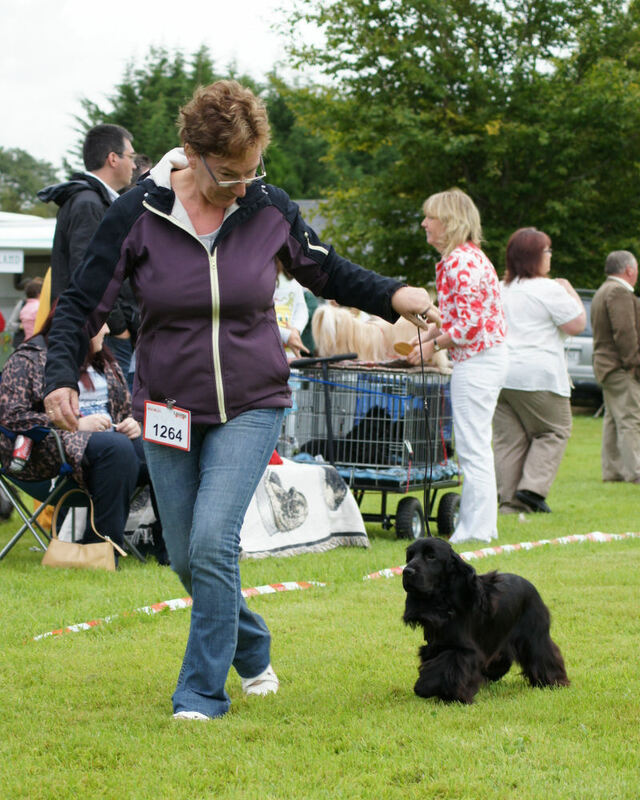 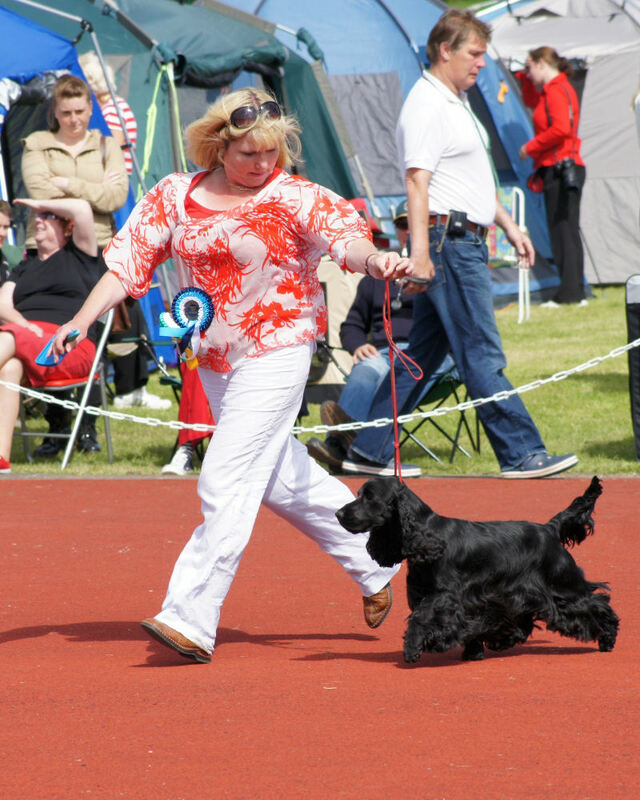 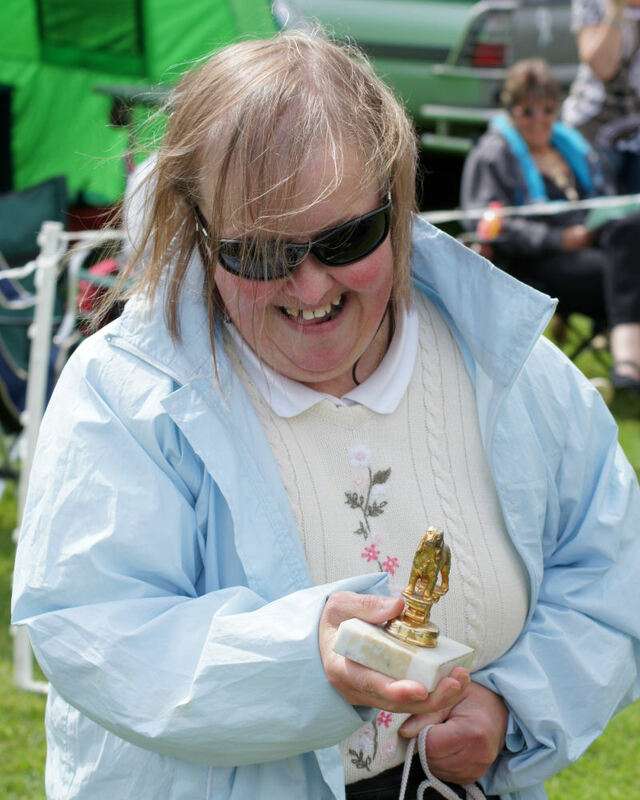 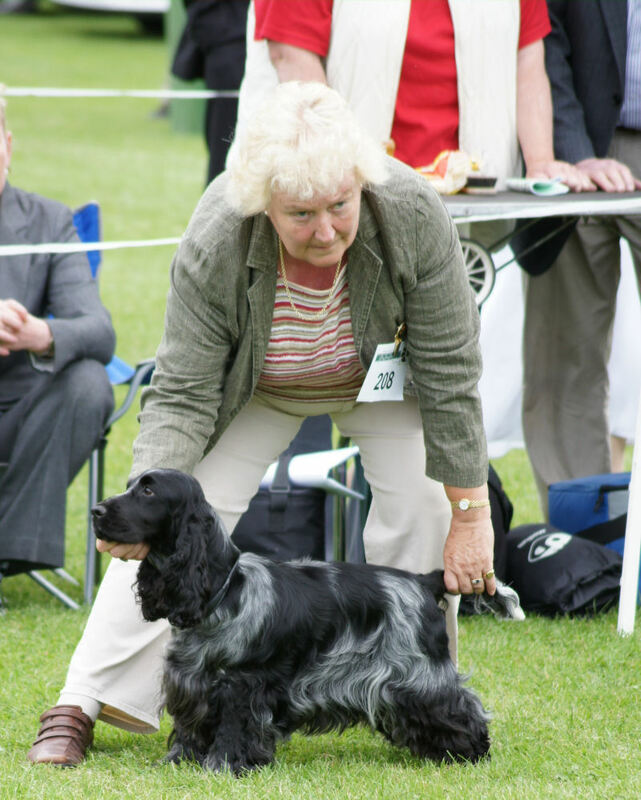 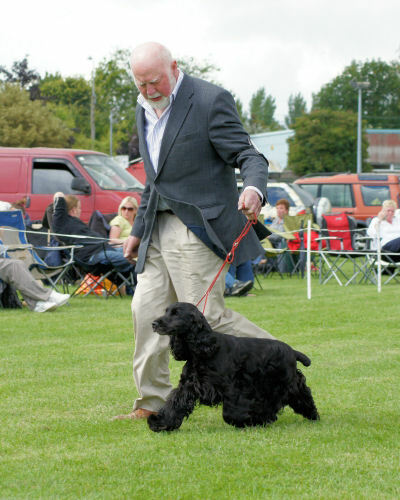 She also thanks all those exhibiting under her for their support of the Irish Cocker Clubs and the Breed. 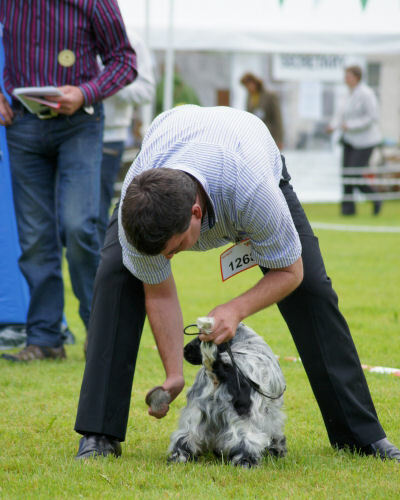 Izzy is slightly worried about the Brush Paudie has in his hand, maybe its the angle of the shot but so were we! Brian O'Sullivan with his beloved GSB and RBoB at Limerick. and Maria might be looking at the same thing or not. 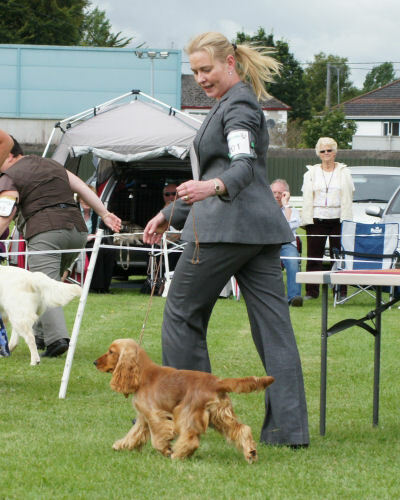 A moment of relaxation while in the ring. 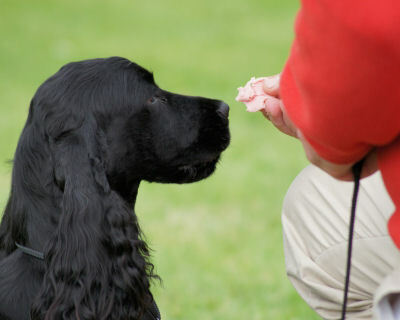 A moment not often captured or seen, that brief nanosecond between Daddy producing a treat and Daddy then counting to make sure he still has ten fingers! 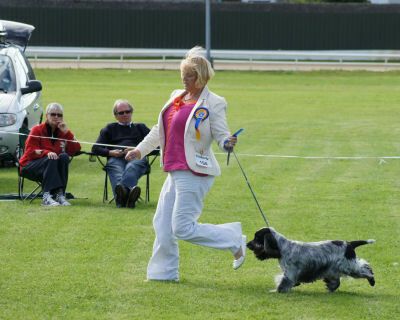 Cavalingo Show Stopper at Laveris at RBG. I'm a good girl - A very good Girl! 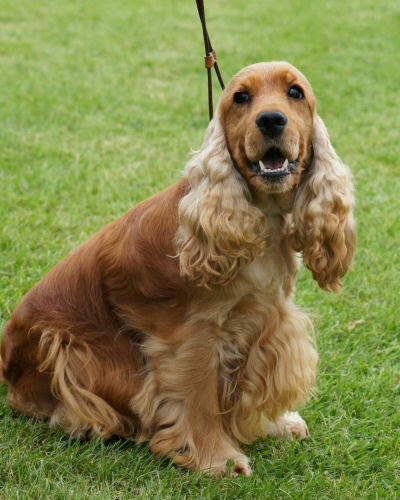 is not so sure about agreeing, but with a name like Vanity, she knows who is the prettiest girl. 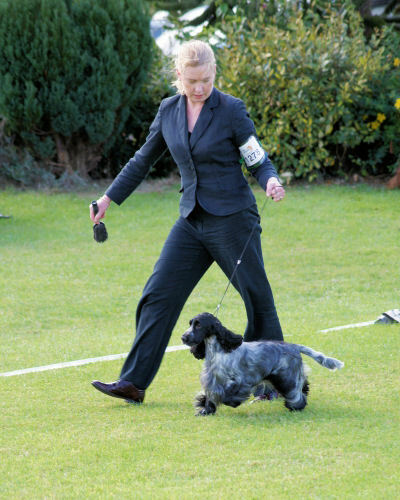 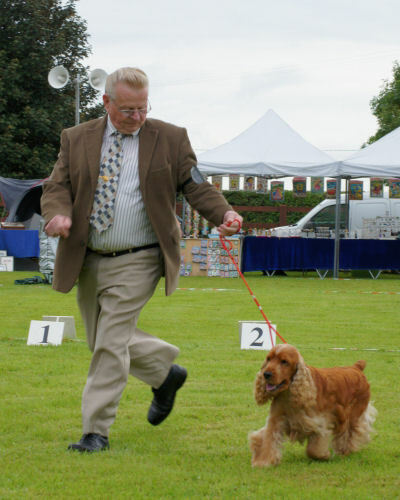 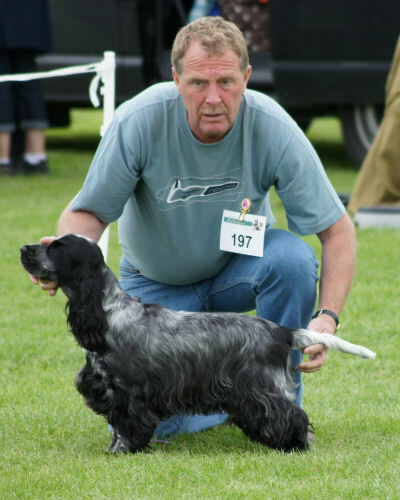 The Best Handler of the Circuit. Felicity and Amber show us all how it should be done. And the Prize to prove it. Felicity has now switched to Solids - Solid Gold Cockers that is! 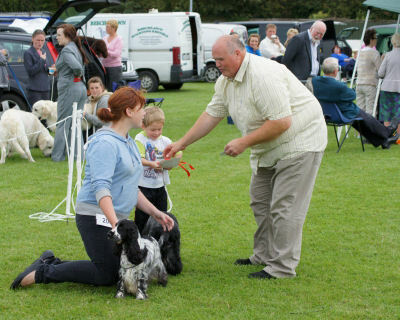 Chris shares some awards and experience. 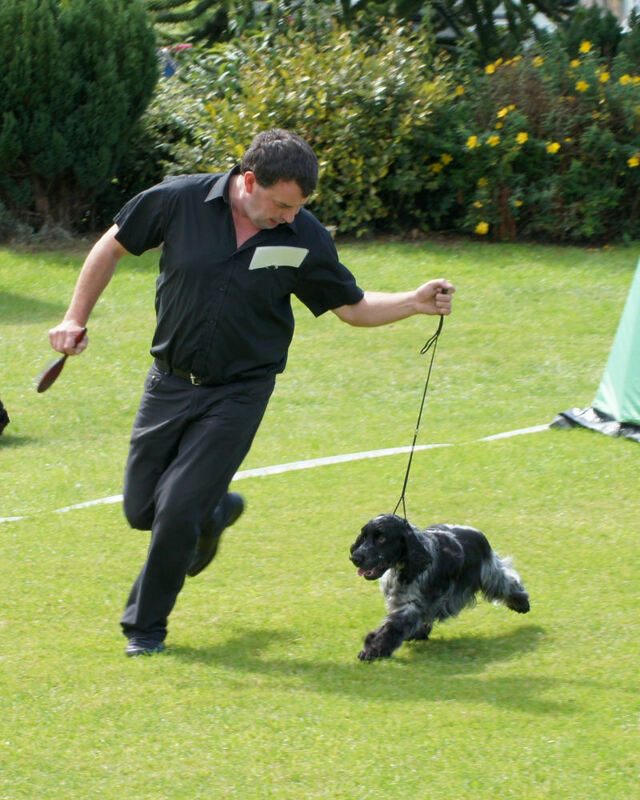 Puppy Stakes at the RBG. 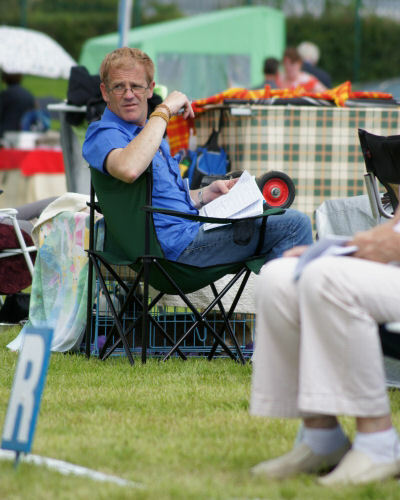 The Cockers over, Catalogue Studied and Bobby still with an eye on the ring. Time to pack up and head home. 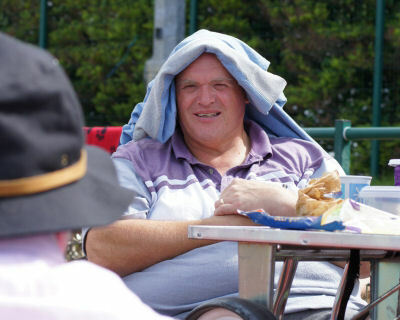 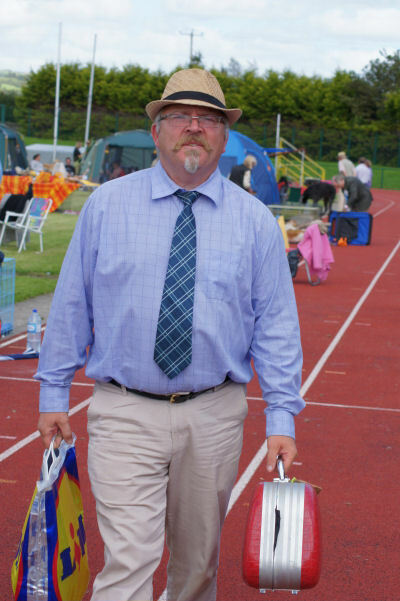 Tommy with his manbag - we will let you guess which it is.